hot. . Wallpaper and background images in the Marshall Lee club. This Marshall Lee photo might contain picha, headshot, and closeup. Guess I'll Take Her Too! OH MY GLOB! OH MY GLOB! OH MY GLOB! 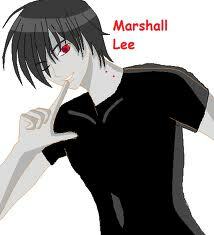 MARSHALL LEE IS SO FREAKING HOT!! !